It was a great 3 days of Bowls on Vancouver Island as both Port Alberni and Qualicum Beach LBC played host to the 2017 BC Senior Championships. 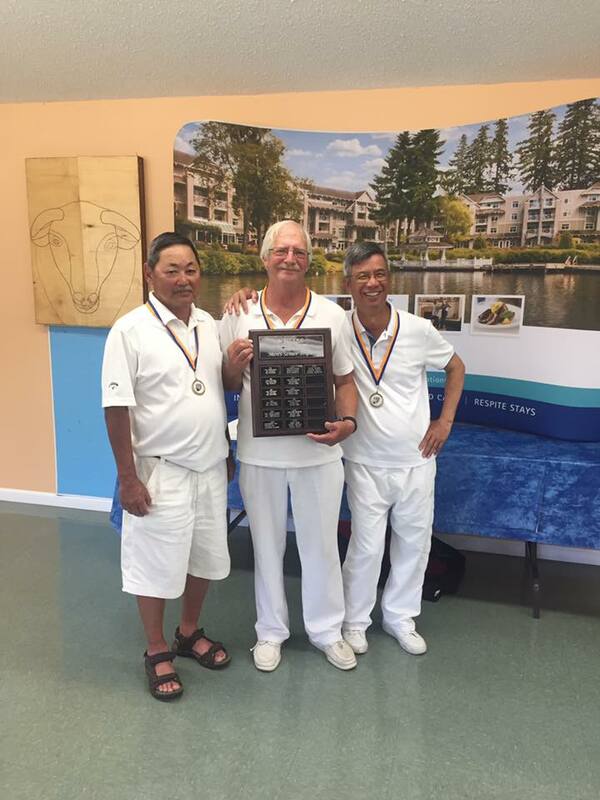 This years the competitors were playing for the opportunity to represent BC at the Canadian Senior Championships being held in Peterborough, ON from Aug 24-29. The Women’s competition saw 10 Teams participating this year with a good core of players from Vancouver Island. The final came down to two experienced Teams as last years Champion Mary Wright and her squad of Ann Mathie and lead Anne Van Bastelere were up against Port Alberni LBC’s Robin Forrest, Nancy Hemmingsen and Elaine Van Kooten. In a great battle it was the Port Alberni squad coming through to win the Gold Medal. 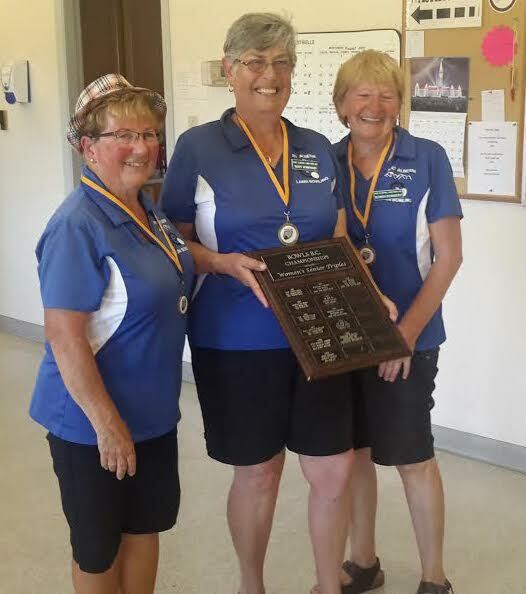 The Bronze Medal was won by the Courtenay LBC trio Pat Cutt, Sandra Tonnellier and Pat Norrad. In Men’s action it took two final games to determine the winner as Gary Kirk from Richmond LBC had his team waiting in the final game for the winner of Paul Lee and David Gardner. After Gardner’s win he had the task of jumping back on the greens to try and beat Gary and his team twice. Having pushed it to a second game the Gardner squad ran out of steam and Gary Kirk, Gord Okiwa and Peter Cheong would eventually take home the Gold Medal. Paul Lee won the Bronze Medal. Congratulations to everyone who participated and best of luck to our Teams representing British Columbia at the Canadian Senior Championships. Thank you to both Port Alberni and Qualicum Beach LBC on hosting this years event.